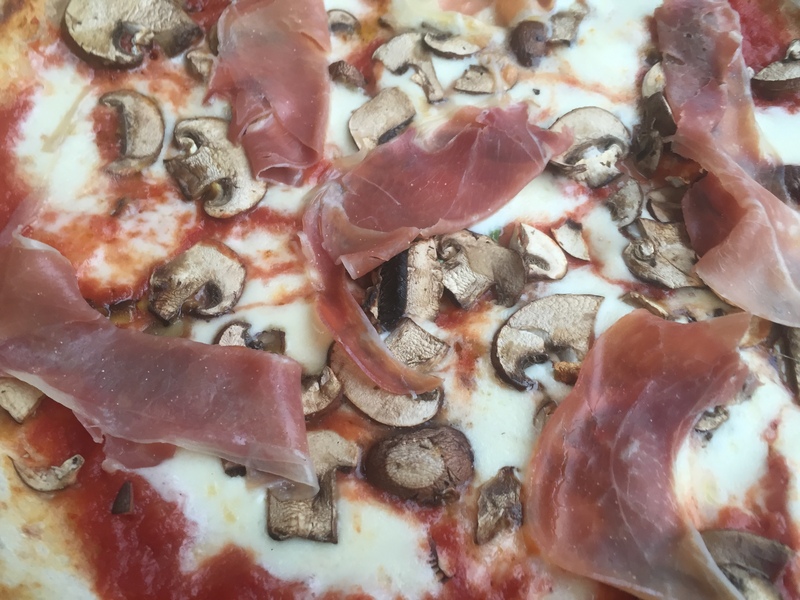 When you live and work in Harrow, eating lunch and dinner at the same places can be pretty tiresome. I mean, they don’t even have a Pret! (Pret take note!) 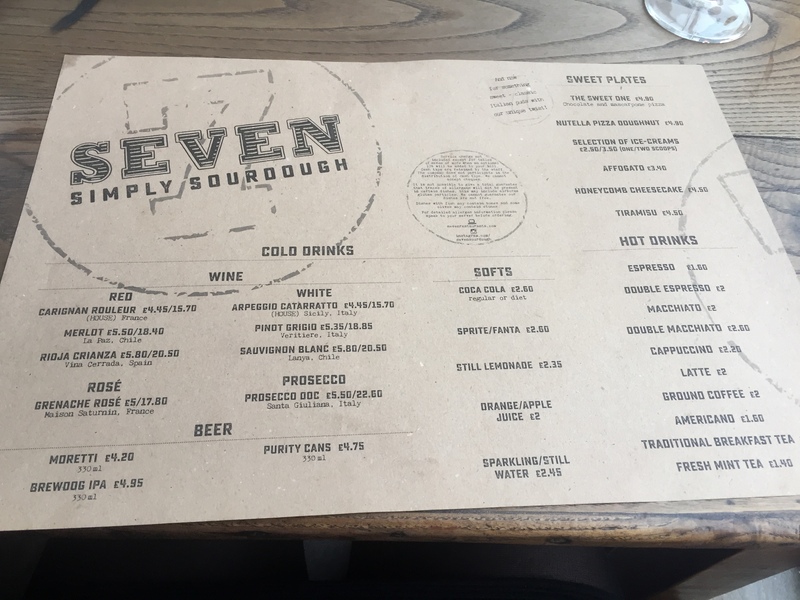 So when on one of my lunchtime walks with a colleague I discovered the opening of a new sourdough pizza place called Seven Simply Sourdough, you can imagine my delight! 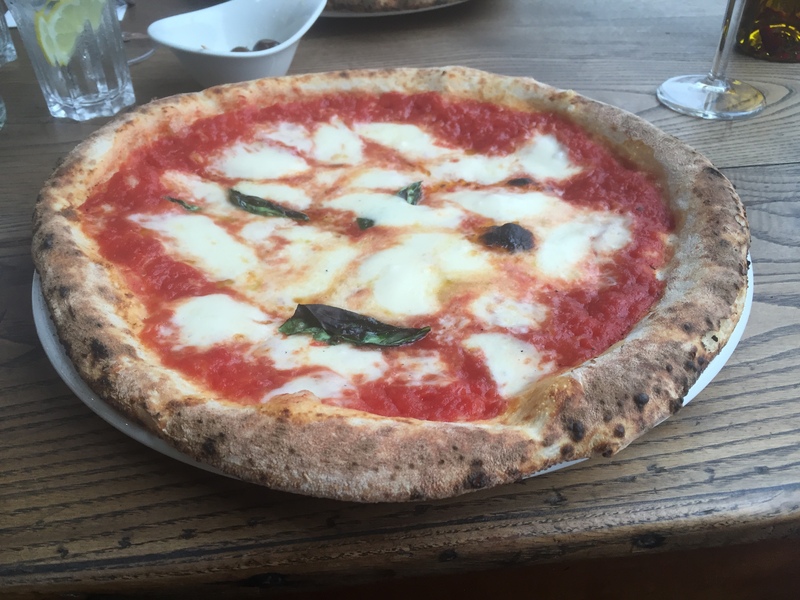 Now, if you know me, you know I love pizza, especially sourdough pizza. It just tastes better. 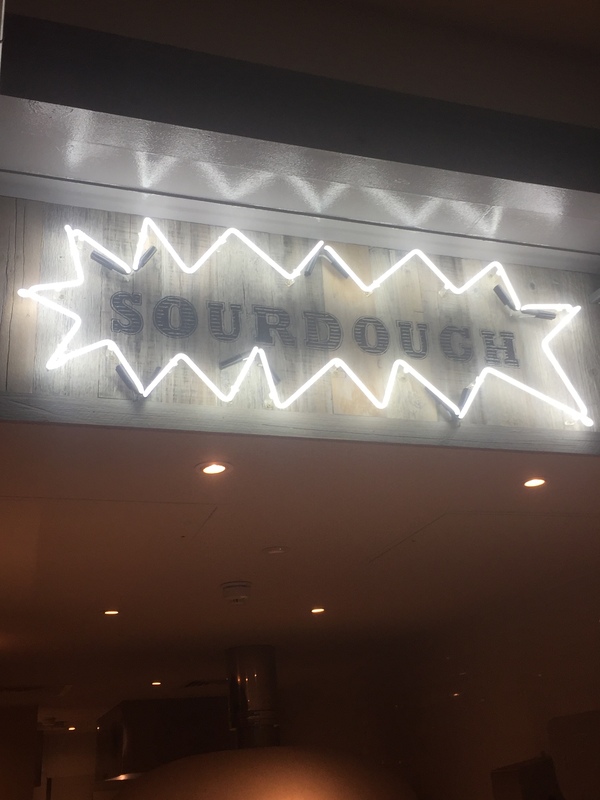 If you’ve never heard of sourdough, Seven uses three ingredients to make their delicious in-house dough; flour, salt and water. 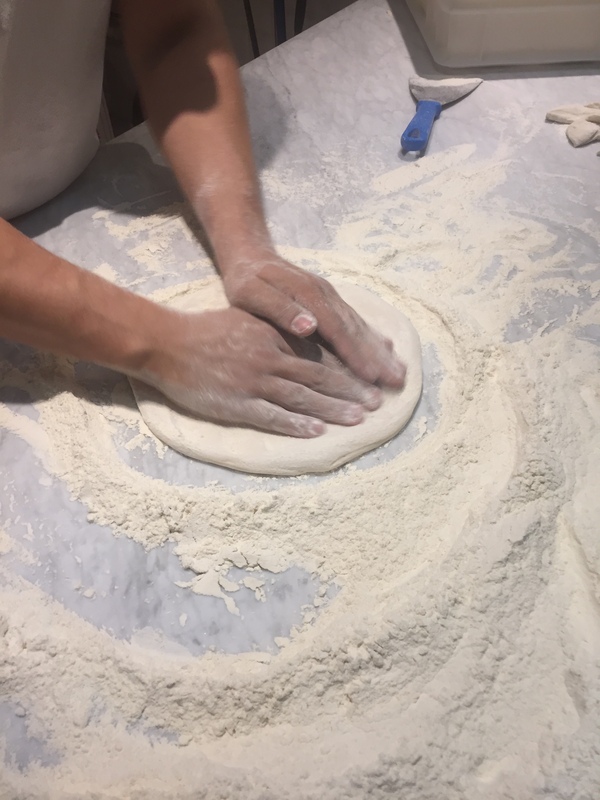 It is then left to rise for a minimum of 20 hours, allowing the soft, bubbly dough to form and create the perfect Neapolitan pizza. Dip the dough in chilli or garlic oil for your taste buds to be delighted!!! Nom nom nom! My friend Anisha and (my pizza buddy!) visited Seven on a rainy Tuesday evening, around 6pm. Located about a 5 minute walk from Harrow-on-the Hill station on Station Road (opposite McDonalds) it was quiet when we got there but got fairly busy, so I’d suggest booking a table if you are planning to visit. 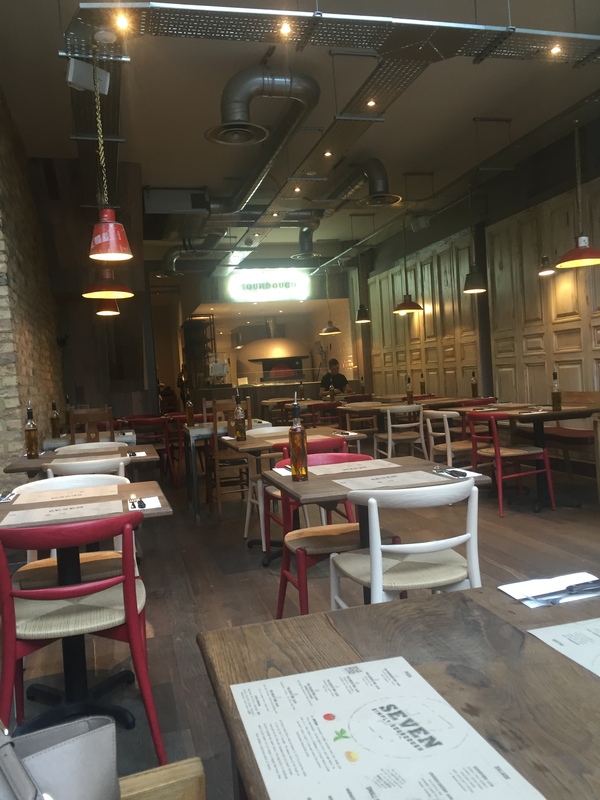 You can tell it is a new place, as it has that lovely woody smell (my dad is a joiner so I have grown up with this smell, and it gave me a slightly nostalgic feeling). 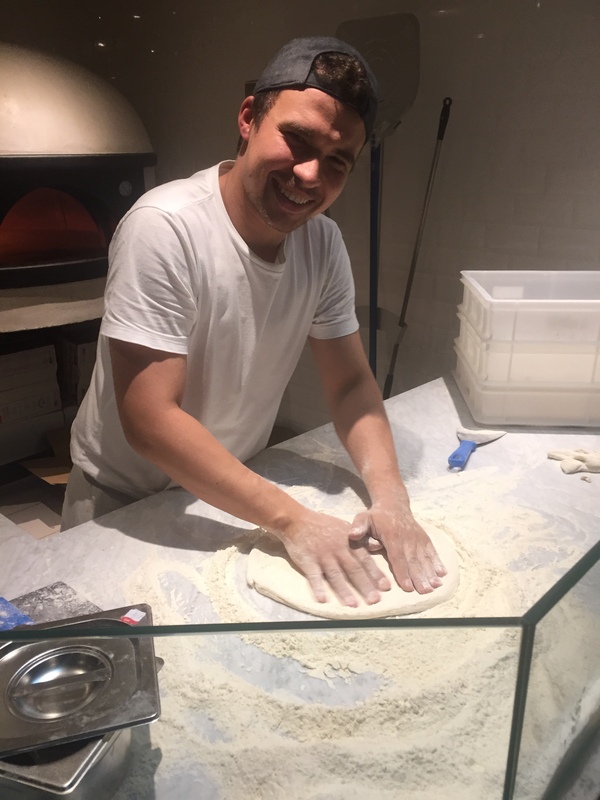 With its modern yet elegant look and feel, happy staff and the sight of award-winning chef Marco making the pizza in the background, I felt immediately welcomed and ready to eat pizza! 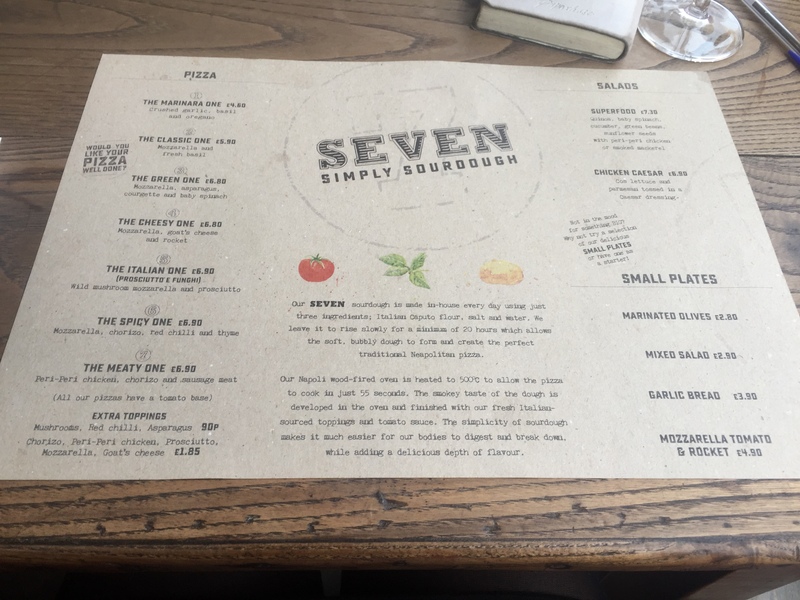 Run by Emily Caplan and her highly-skilled team, the philosophy behind Seven is simple –they want to use fresh ingredients and do one thing well and that’s making delicious pizzas, and I must say that the majorly Italian team at Seven succeed in doing that. So much so that after visiting to write this post I even returned for another visit. 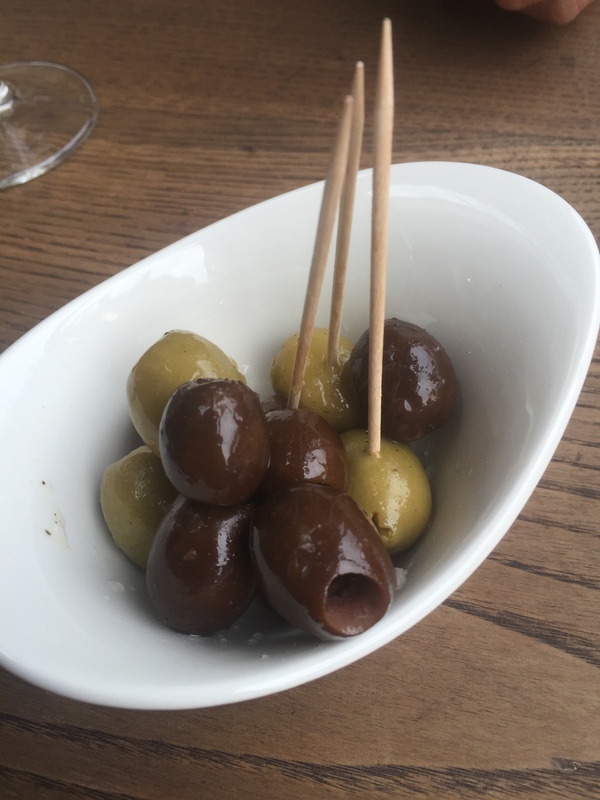 We ordered some marinated olives and a couple of glasses of pinot grigio to start. 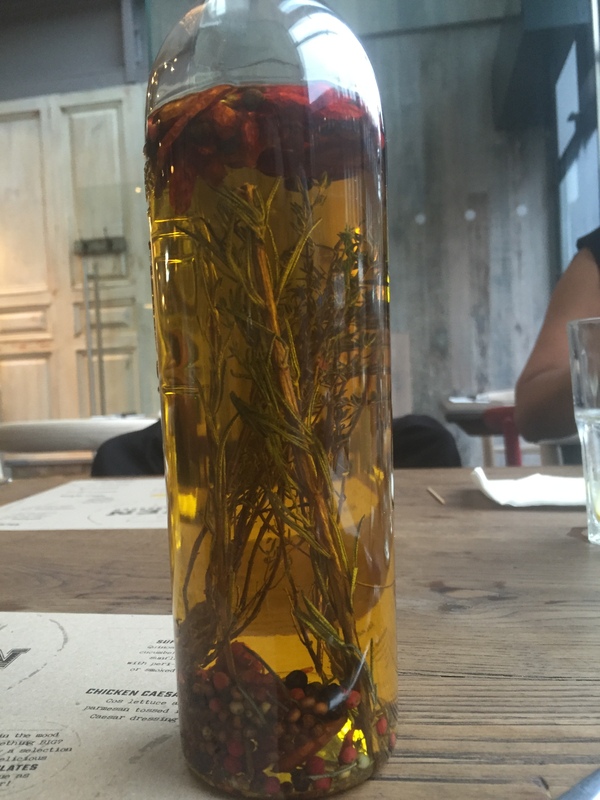 The olives were yummy, delicately flavoured with oils and seasoned well. 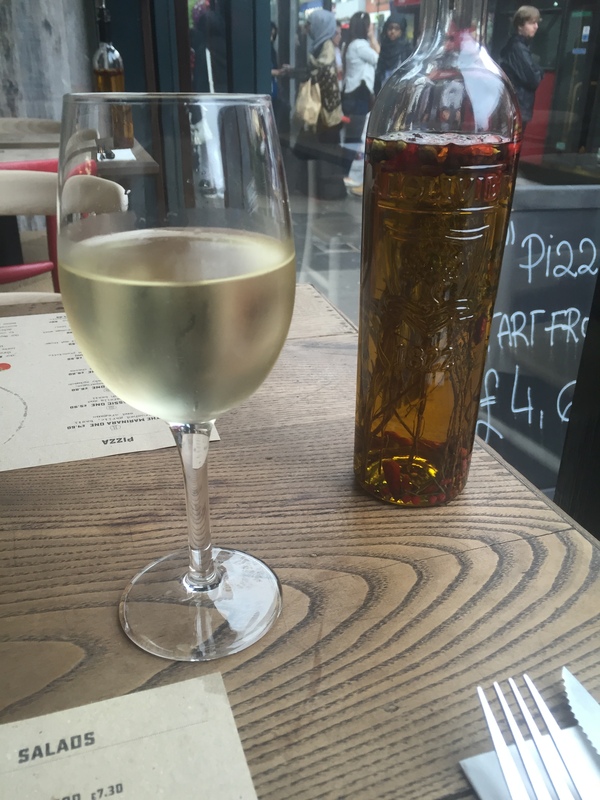 The wine was crisp and light; the perfect start to our meal. 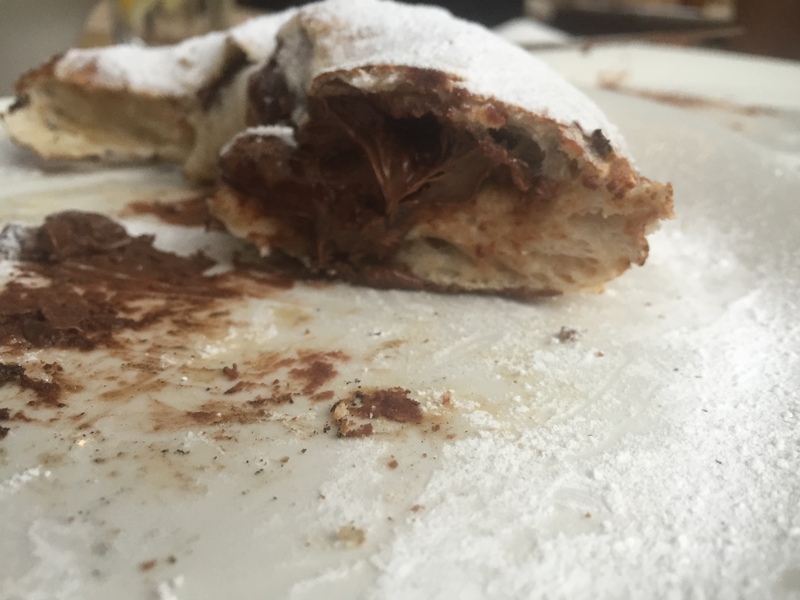 After our pizza’s we decided that wasn’t enough and tried their Nutella Pizza Doughnut. 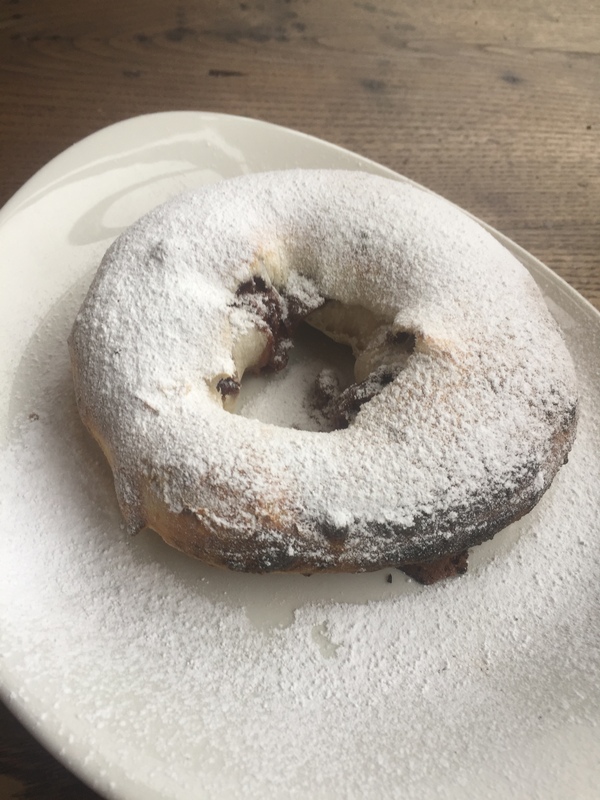 A doughnut ring made of sourdough, filled with Nutella and sprinkled with icing sugar. This was sweet and savoury at the same time, indulgent, gooey chocolatey and unlike anything we have ever tasted. But definitely one to share. 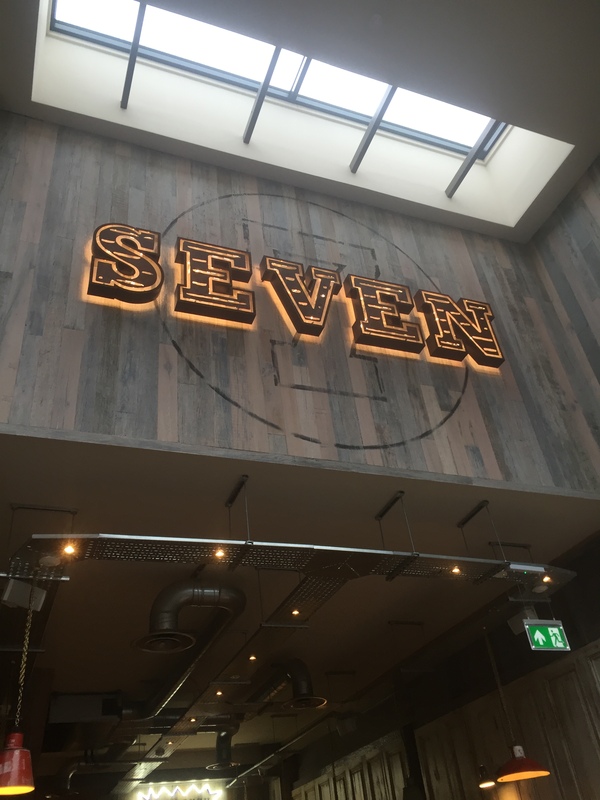 Overall, Seven is a welcome addition to Harrow. 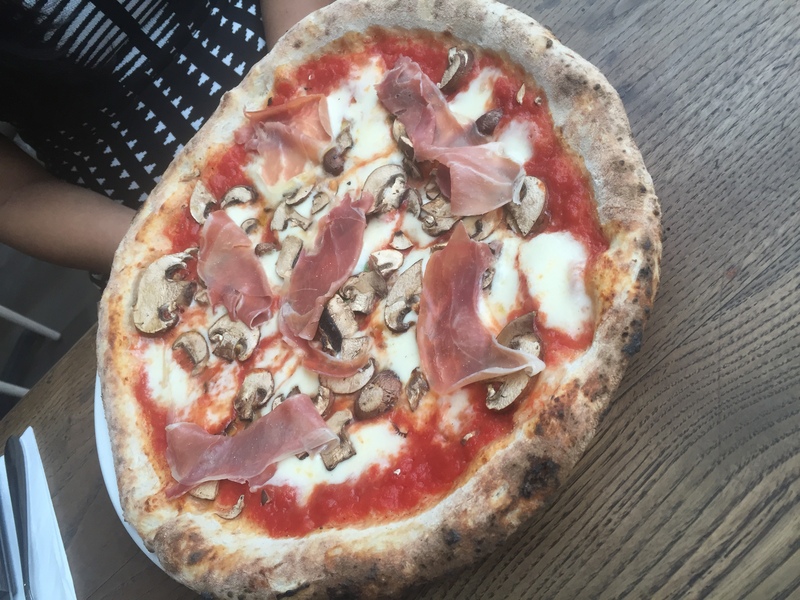 Whether it is a work lunch, date night, family lunch/dinner or just a stop-off while you shop; Seven provides a great destination for simple, fresh and quality pizza at a reasonable price. Oor if you’re not in the mood for pizza, they have huge salads on the menu too. I’ll definitely be paying Seven regular visits and can’t wait to see them grow from strength to strength. Check out Seven’s website here or their Instagram here. If you visit do let me know what you think, I love hearing feedback!